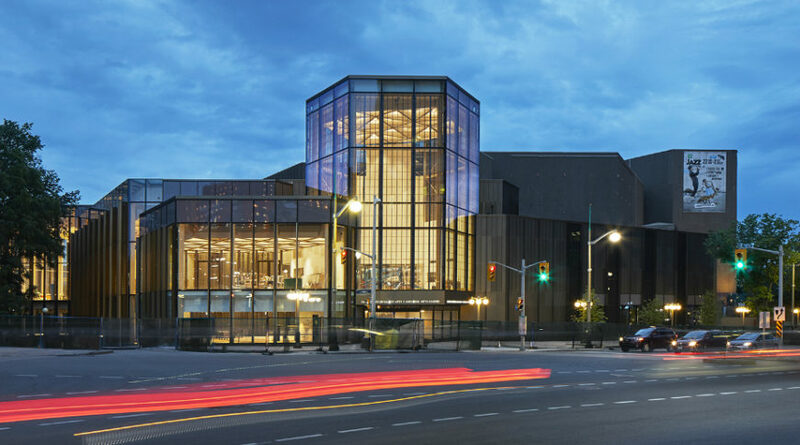 Canadian firm Diamond Schmitt Architects has overhauled and expanded Ottawa's brutalist National Arts Centre, cladding it in glass to create a light-filled interior. 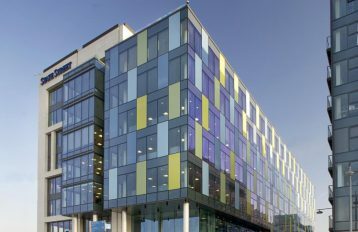 The building's new facade is clad in glass that spans roughly 25,00 square feet (2,300 square metres), while other insulated and opaque panels complete the exterior. 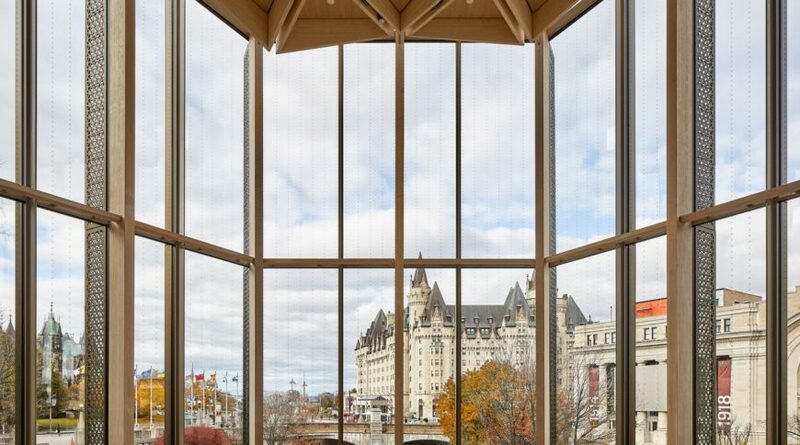 A new magnificent glass atrium with a glittering entrance on Elgin Street, embracing Confederation Square and some of the most iconic views of important landmarks in our nation’s capital complete the project. 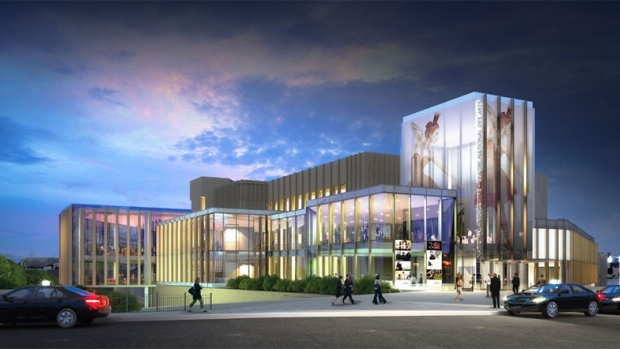 At the centre of the arts complex is a 65-foot-tall (20-metre) tower that is wrapped in transparent LEDs. 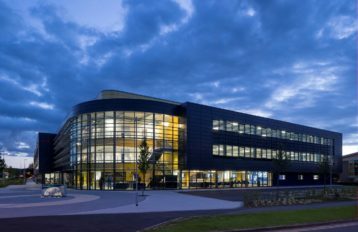 The renovation encompassed the upgrade of 20,000 square feet (1,858 square metres) of the existing building's three floors, and adding a 60,000-square-foot (18,200-square-metre) extension. 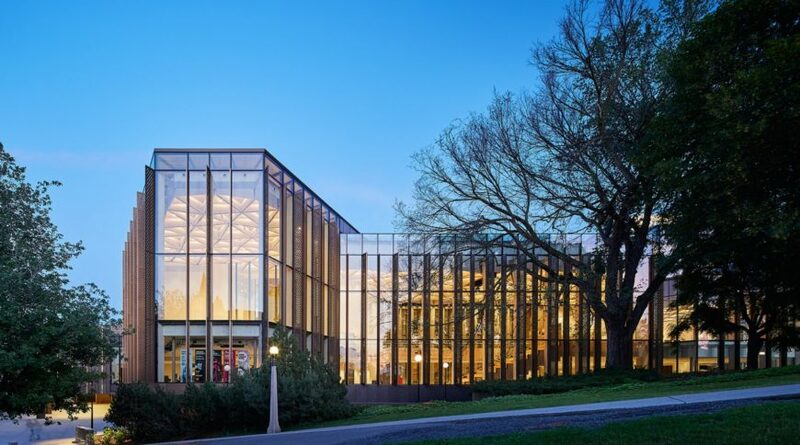 The project animates the streetscape and the new façade adds transparency to the NAC that engages the public in a way that is sympathetic to the geometry to the old building. The quiet treatment is beautifully detailed but doesn’t overwhelm the site of national significance where town and crown meet. 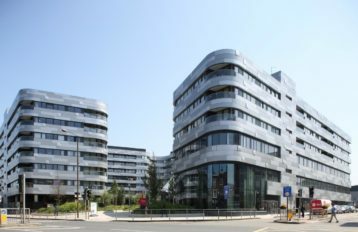 The Rejuvenation is successful in creating public and semi-formal venues for the city – and offers a successful interior public space.